Free Shipping Included! 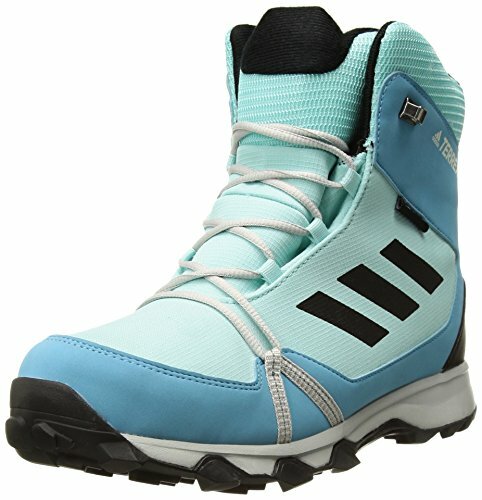 adidas Outdoor Unisex-Kids Terrex Snow CP CW K Hiking Shoe, Clear Aqua/Black/Vapour Blue, 5.5 Child US Big Kid by adidas outdoor at Blood of The Young. MPN: S80886-5.5-ClearAqua/B/VapourBL-5.5CHLBK. Hurry! Limited time offer. Offer valid only while supplies last. Upper: reflective logo for enhanced visibility and safety in the outdoors. Upper: climaproof® membrane for waterproof protection in wet conditions. Upper: CLIMAPROOF® membrane for waterproof protection in wet conditions. Upper: Primaloft 100g insulation material for more warmth, even in wet conditions.